Craft time in our house this morning! Sammy decided we should do some painting today. With the chilly fall weather this morning, I thought it was a great day for a Fall Craft. This great craft also introduces mixing colours. We have been experimenting with different ways to paint lately. Finger painting is always a big hit – and most of our painting adventures seem to end this way – but I have been introducing Sammy to different ways to paint. 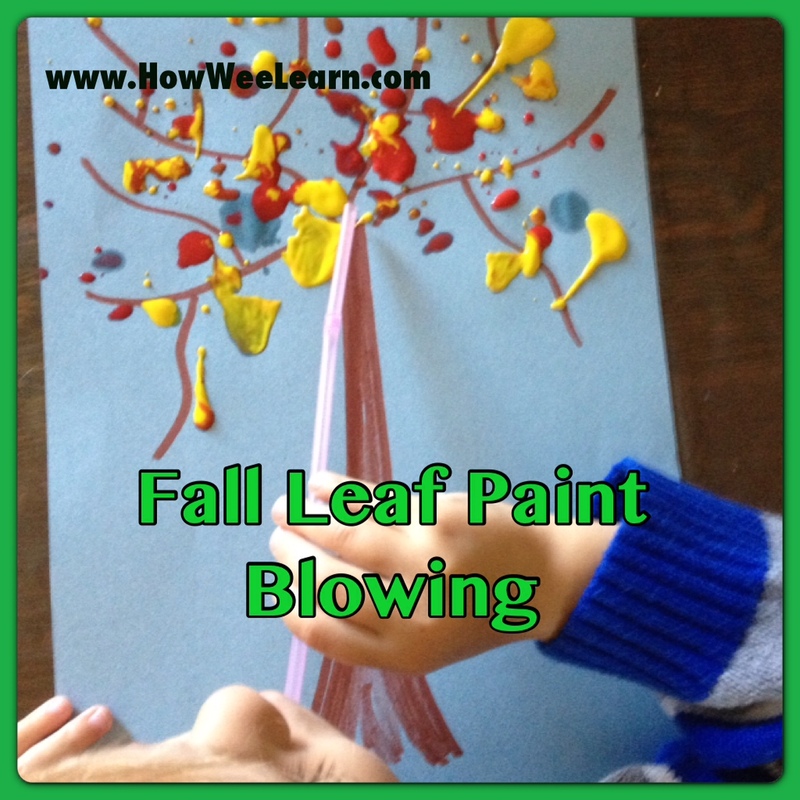 Today we painted by blowing through a straw. It is a simple, easy, and fairly tidy painting craft. First of all we watered down the paint – about 50% paint and 50% water, so it spreads easier. 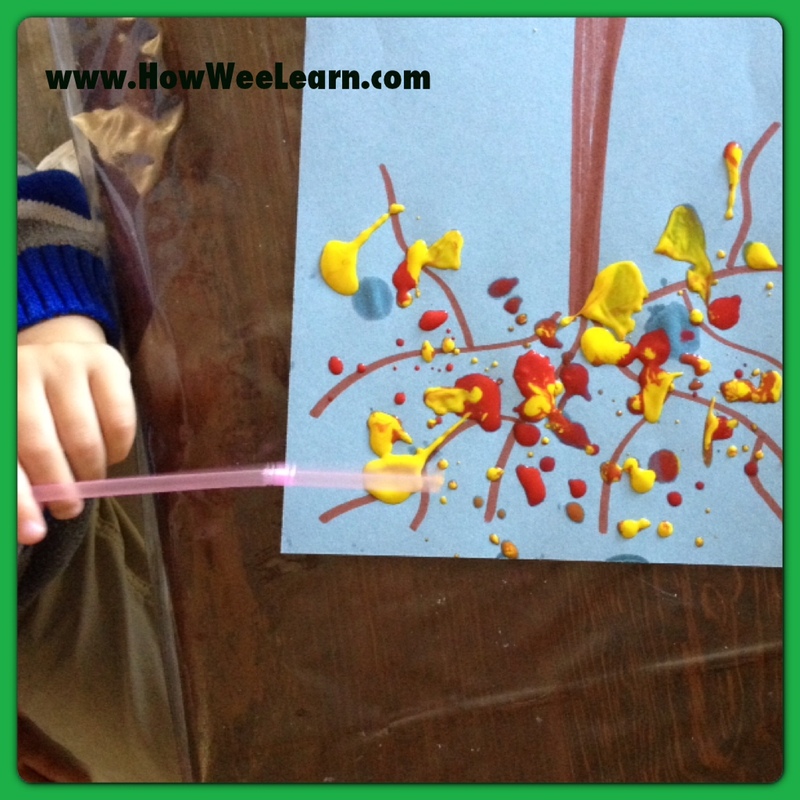 Finally, Sammy blew through the straw and spread the paint – mixing the red and yellow. I think his tree looks great! Red, yellow, and Orange leaves. Crafts for kids are great way to introduce wee ones to different things: different materials, textures, and methods. There are so many wonderfully neat things to explore! Crafts are definitely something we need to be doing more of in my house. Especially more with cutting and gluing. Do you have any cutting and gluing crafts you could suggest? Just love this! What a fun experience to blow paint and explore color mixing~ two favorites! Thank you so much for linking up to this week’s Discover & Explore!